Sadly, many people are unaware that they are caught up in a cult. This piece over at Faith After Deception is about how we can help those who are in a cult face the truth about their organization. 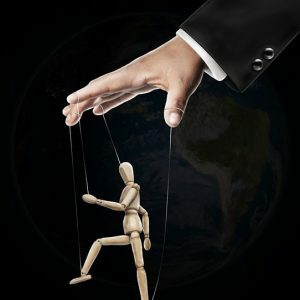 It is a fact that hypnosis and other manipulative techniques are very effectively used to influence people’s thinking. The result is that more and more people have become susceptible to charismatic figures such as we find in the Word of Faith and New Apostolic Reformation cults. This piece offers ways that will help get indoctrinated people to think critically. Cults are fueled by fear, shame and secrecy. Members are taught to set their sights on a future existence on a paradise earth or in heaven, and forced to give up all hopes of true joy or fulfillment in this life. They must resign themselves to boredom, drudgery and self-discipline, which is often accompanied by feelings of emptiness and dread. They are forced to fake a smile and to find the energy to put on a “positive face” in order to prove to outsiders that they are walking the “one, true path” to salvation. The pressure to conform to external standards of behaviour when feeling dead inside can lead to inner conflict (known as “cognitive dissonance”), stress and depression. Terrorized by the threat of losing their loved ones and social community, being destroyed at Armageddon or losing their salvation, cult members often behave on “automatic pilot”. Like brainless robots, they go through the motions of life, trying desperately to ignore the questions and doubts that sometimes pop up into their minds. They make a massive effort to push them down again, to re-convince themselves that their life is not based on a lie, that all their hard work and sacrifice have not been a useless waste. I’ve met some active cult members who have literally given up everything for their Group: a decent education, the prospect of having children or following their dreams, a career, retirement fund, or a relationship with their non-cult family members… the list goes on and on. They turned their backs on all this to serve their Organization full time.